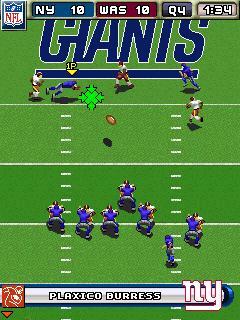 Gameloft’s NFL 2009 launches today. Gameloft has a mobile licensing agreement with the National Football League (NFL) that allows the company to create an authentic NFL experience by featuring all 32 NFL teams, NFL players, NFL stadiums and detailed stats. NFL 2009 is available now across most US carriers. To check the game’s availability with your carrier, text “QB” to 82174 on your mobile phone.